Individual lessons are entirely flexible. General French – Structured to the student’s individual interests, level and timetable. The student can supplement mini-group courses with individual tuition and organise his week as he wishes. 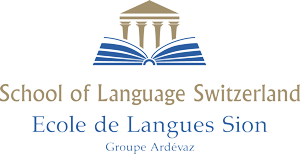 Specialty French – Tailored upon request to the preparation of examinations for the DELF and the DALF. Courses specialized in a professional field: business, law, hotel, tourism, medicine, design. Week day or weekend intensive French – Courses focusing on client’s need who has very limited time in order to prepare a meeting or a presentation.